If you are in the Chicago area, we would love to have you stop in. 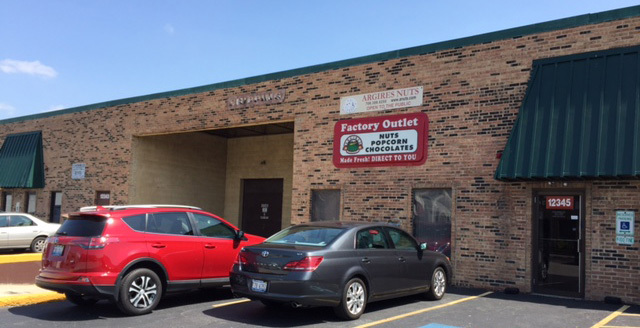 Our Factory Outlet Store and corporate office are located at our plant in an industrial park in Alsip, IL 60803. We are located in a southwest suburb of Chicago about 25 minutes south of Midway Airport, about 15 minutes from the Illinois/Indiana border and about 5 minutes off of the I-294 tollway at the 127th St. exist (going south on the tollway) or Cicero Ave. North exit (if you are going north on the tollway). Driving directions from 122nd and Cicero (there is a light and White Castle on the corner). Go west on 122nd St.
Go to first stop sign which will be Laramie Ave. Turn left onto Laramie and drive past the Coke plant. Go to 123rd Place. Turn Right. Go two blocks to Latrobe. Turn left. We will be on the left about half way down the block.